Named to the Daily Journal’s 2016 “Top 100 Women Lawyers in California” list and the 2014-2019 “Top 50 Women in Southern California” list from Super Lawyers Magazine, Elaine Fresch serves on the firm’s Executive Committee and is the Managing Partner of both the firm’s Construction Law practice, and the firm’s Las Vegas office. Her primary focus is construction defect litigation, representing developers and general contractors, as well as all types of subcontractors and construction product manufacturers. One of her primary goals has been to develop ways to aggressively defend her clients in a cost-effective manner, including formatting and operating successful joint defense agreements. While it is rare to take a complex construction defect case to trial, Elaine has done so and has handled a variety of complex commercial/real estate litigation matters, including trial in the U.S. District Court. Additionally, Elaine represents product manufacturers in complex subrogation claims, as well as defends a variety of clients in general liability lawsuits. With an established Equine Law practice, Elaine is one of few in the country who, not only fully understands the complexities of horse-related cases and claims, but who is also a trained and awarded equestrian who actively competes. In this capacity, Elaine regularly advises clients on their contracts and releases and litigates matters ranging from personal injury to contract claims relating to purchases, sales, and loss-of-use. Elaine is a member of CLM’s Construction Advisory Board and is a Co-Chair of CLM’s Diversity in Construction Litigation Committee. She has been invited to speak at numerous seminars sponsored by such organizations as CLM, West Coast Casualty, Perrin, and DRI on a variety of topics related to the construction industry and the defense of construction defect cases. She is also a Fellow of the Construction Lawyers Society of America and a Senior Fellow of the Litigation Counsel of America. For her contributions to the construction industry, Elaine has been honored with the Syhre Award. A nationally-recognized sliding glass door and window manufacturer was represented in a case in which a general contractor demanded six figures for claimed product defects relating to sliding glass doors supplied by client on a large hotel remodel and addition project. General contractor also sought a duty to defend on the part of client. The matter was resolved for significantly less than the total demand. Represented the governing body of a horse jumping competition, as well as the facility hosting the event, in a claim involving a catastrophic personal injury. Plaintiffs alleged that both clients increased the inherent risk of the sport by not requiring riders to use a certain type of cup to hold the rail on an oxer jump in the warm-up arena. The claim was resolved for far below plaintiffs' multi-million dollar demand. Very favorable settlement of personal injury claim against a popular racetrack was obtained after the jury submitted questions during deliberations suggesting that a defense verdict was likely. 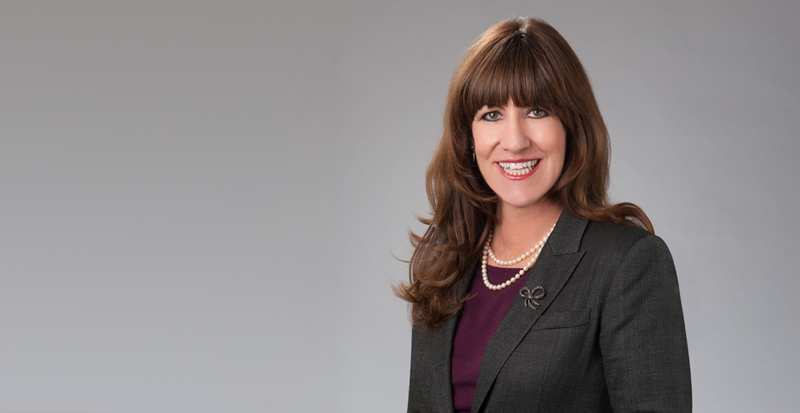 Elaine was the recipient of a special award at West Coast Casualty's CD Seminar recognizing her commitment to the industry and has been featured in Forbes magazine in their "Outlook - Los Angeles Legal Section" regarding her expertise on construction issues. She was also featured in a Los Angeles Daily Journal article regarding noted construction defect lawyers in Southern California. She is a past recipient of the Syhre Award for her commitment to service and education within the construction law industry and frequently writes articles and commentaries on recent changes in construction law. Elaine is a founding director of Diversity in Construction Litigation (DCL), formerly named Women's Construction Litigation Alliance (WCLA), a non-profit organization. An avid horsewoman, Elaine competes in the jumper division at nationally recognized horse shows in the United States and Canada in her spare time. She is actively involved in the equestrian community as a result of her equine law practice, as well as her show jumping pursuits. She is an active member of the U.S. Equestrian Federation, the United States Hunter Jumper Association (USHJA), and the Pacific Coast Horse Show Association. Elaine previously served on the USHJA's Joint Amateur Task Force Committee and is currently serving on the Owners Task Force Committee, to which she was appointed. She is a former officer on the board of directors of the West Coast Active Riders, a non-profit organization, and has been a speaker at industry seminars.